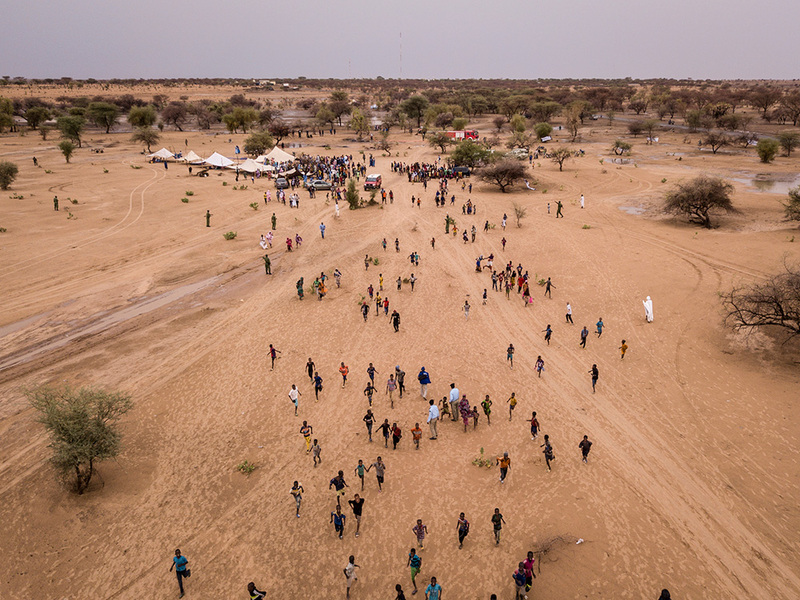 Nouakchott – IOM, the UN Migration Agency, organized a crisis simulation exercise last week (27-28 June) at the border between Mali and Mauritania with more than 300 participants from local communities, local authorities, civil society and security forces from both countries. The scenario simulated a massive population displacement from Mauritania to Gogui, Mali causing material, sanitary and human damages. The simulation aimed to assess the human and material capacities of the different stakeholders involved in border crisis situations, especially local communities. It also aimed to highlight the dynamic between human rights protection, assistance to vulnerable persons and state security during a migration crisis. “This exercise has strengthened border management by involving the population of both countries in humanitarian crisis management, and it has increased the mutual trust between law enforcement officials, local authorities in both countries and cross-border populations,” said Arouna Samake, Director of Mali’s Border Police. “We thank IOM as well as the Government of Japan and the European Union for taking this initiative, which is greatly appeasing the social climate in both countries and which will undoubtedly minimize inter-community conflicts,” he added. Prior to the simulation, trainings on humanitarian border management were conducted for local authorities, security forces and civil protection agents from both countries. Ministry officials as well as civil society organizations and border communities between Mali and Mauritania also participated. This exercise was organized thanks to the EU-funded project Strengthening Border Management, Fostering Protection and Reintegration of Migrants in Mauritania and the Government of Japan-funded Enhancing the Collective Operational Preparedness for Cross-border Migration and Humanitarian Crises between Mauritania and Mali.